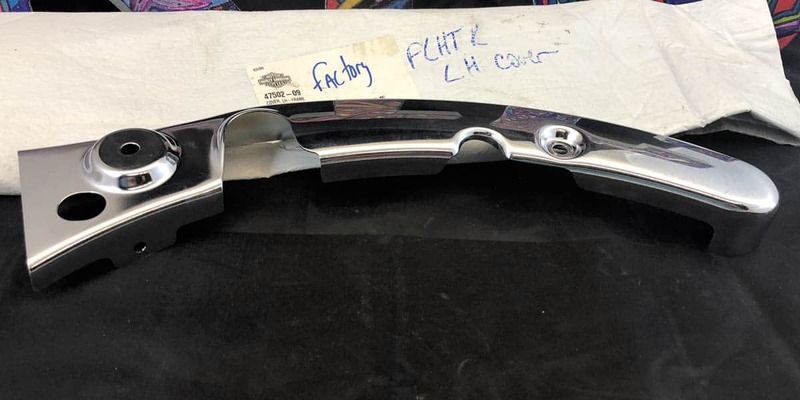 Harley-Davidson Touring Rear Fender Strut Cover, Left Side 47502-09 Chrome as seen at Knobtown Cycle Kansas City’s Motorcycle Shop. Quality Used and New Motorcycle Parts Kansas City. When you need a motorcycle part make Knobtown Cycle your first choice for quality used and new motorcycle parts. We have an extensive showroom of new and used parts for your motorcycle. Our counter service is second to none in finding the part you want for a price you like. Knobtown Cycle is Kansas City’s Motorcycle Part Headquarters for all makes and models. And don’t forget our service department can install any of the parts we sell. Knobtown Cycle is a Kansas City’s retailer for new, used and aftermarket motorcycle parts. We seek to find the coolest parts and accessories on the market that not only improve the performance of your motorcycle but enhance your overall investment. Have you seen these deals yet?